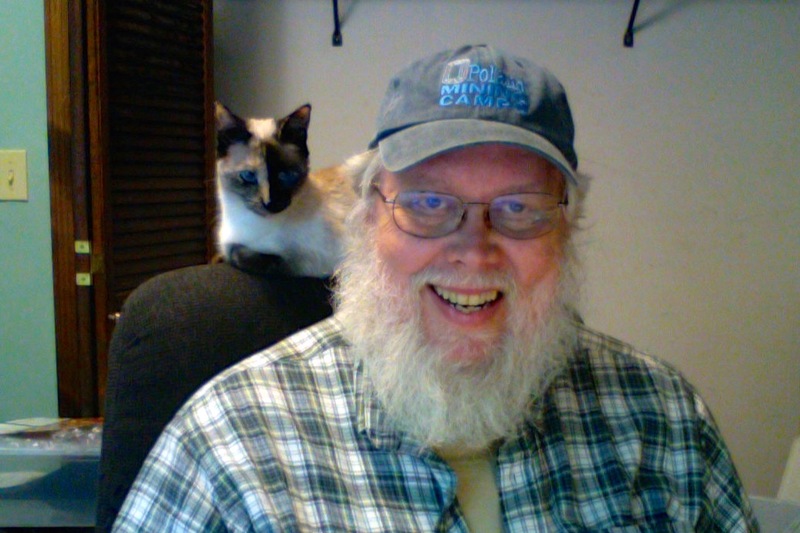 As an “official blogger” at the New England Regional Genealogical Conference (NERGC 2019), I had the opportunity to interview one of the conference speakers. I plan to attend two of Melissa Johnson’s lectures, and thought it would be nice to know more about her and some of her thoughts about genealogy. Don: Your website indicates that you specialize in lineage society applications. What do you think are the most significant benefits of becoming a member of a lineage society? Melissa: I am not a member of any lineage societies, so I can only speak to the reasons why my clients want to join them. Most of my clients want to become involved in society. Whether it’s the DAR, SAR, Descendants of the Founders of New Jersey, or another group, there are volunteer positions and different types of events that people can become involved in. Some of my other clients want to document their ancestral lines and the people who qualify them for membership in the society, So, in terms of the benefits, it really depends on the person. If I were ever to join a lineage society, I would do it mostly to have my lineage on record for future generations. Don: Your bio mentions that you specialize in “forensic genealogy.” What exactly is forensic genealogy? Melissa: Forensic Genealogy is genealogy as it pertains to the law. For example, if someone dies without a will, researching to identify their next of kin, would fall under forensic genealogy. So would any type of genealogical research that is part of a civil or criminal case. Also, research to move forward with a process that changes your legal status, such as dual citizenship, is categorized as forensic genealogy. Obtaining dual citizenship makes you a citizen of another country because it changes your legal status. Another example is a person who is applying to become a member of a federally-recognized Native American tribe. That process changes a person’s race (and thus, their legal status). All those types of research fall under forensic genealogy. The use of DNA in genealogy can also fall under forensic genealogy—for example, if an individual seeks to identify their biological parents after an adoption (a legal process) took place. Don: Interesting. It makes me wonder if all genealogists shouldn’t endeavor to treat their research as a forensic genealogist, in that they should approach their research as if they have no personal interest in the results or the findings. Melissa: That can be a good approach. It is always good to go into a research project without any bias, but it’s often hard to do that when it’s our own family and when we think we know something about an ancestor we’ve heard it so many times before. It’s also good to treat all of your research as seriously as a forensic genealogist would. Our reports, affidavits, and exhibits are often brought before a court, so you always want them to be your absolute best work. All researchers should make sure that they are meeting the Genealogical Proof Standard. Don: DNA testing for genealogical purposes is now very popular in the genealogy field. There is much discussion about DNA testing; my question is, when should a person not test? Don: I am the illegitimate son of an illegitimate daughter of an illegitimate daughter. As such, I firmly believe that the truth is always better than lies or confusion. I know many people say they don’t want to know the truth if it disagrees with their current world view. Today, many genealogical ethicists seem to promote only sharing findings if they don’t “hurt” anyone. What are your thoughts about that issue? Melissa: Many people are being provided with new information, especially as a result of DNA testing. Some of the surprises I mentioned, such as finding out that one or both parents is not biologically related, could surprise many parties—the child, the parent, the parent’s spouse, the parent’s other children—for example. Each scenario is different and there are many viewpoints and feelings to consider, and if there isn’t a cut-and-dry sort of answer in terms of making these findings public information. It depends on the situation. It’s always good for a researcher to take a step back, look at all the parties involved, and think about how the news might impact everyone. There are lots of ways to share new findings—publicly and privately within a family, published formally or informally, or published with pieces of information redacted. The impacts on all living people should be considered. Don: What do you think is the best, or most desirable, way to preserve genealogical work for future generations? Melissa: Writing up your research is definitely the best way. This can be done in many different ways. Some people have blogs with tons of information about their family. Blogs are great because they’re searchable, and someone who is searching for their great-great-grandfather can find that distant cousin’s blog and connect with them. You can also write up your research more formally—some genealogists have written several volumes of books on specific families. There are also other options—researchers can write a short article about an ancestor or an interesting problem for a genealogy magazine. Writing also doesn’t have to be formally published—it can be placed in a file in your local historical society. Writing is the way to go, no matter the format you choose. recommend that everyone writes up some part of their research for future generations. On Saturday at NERGC, I’ll be teaching a workshop that talks about options for how to write up your research. Don: Excellent. I’m looking forward to it. Your workshop is on my list of things to attend at the conference. I appreciate your participating in this interview. Thank you so much. Melissa A. Johnson, CG® is a professional genealogist and can be reached through her websites: www.johnsongenealogyservices.com and www.newjerseyfamilyhistory.com. Until we discover an immigrant Barnes ancestor, how the name was derived and its meaning is still elusive. If it is English, it probably relates to someone who lived by or worked at a barn. However, I could also come from “Barnes,” which is on the Thames in London. Likewise, it could refer to the son or the servant of a barne. Once we discover the immigrant ancestor, we will have a better idea of the meaning of the surname in our case. Map showing St. Barthélémy by I. Hanhil. Worldwide there are approximately 414,310 people who bear the Barnes surname. It is most prevalent in the United States where over half of the people with the Barnes surname live. 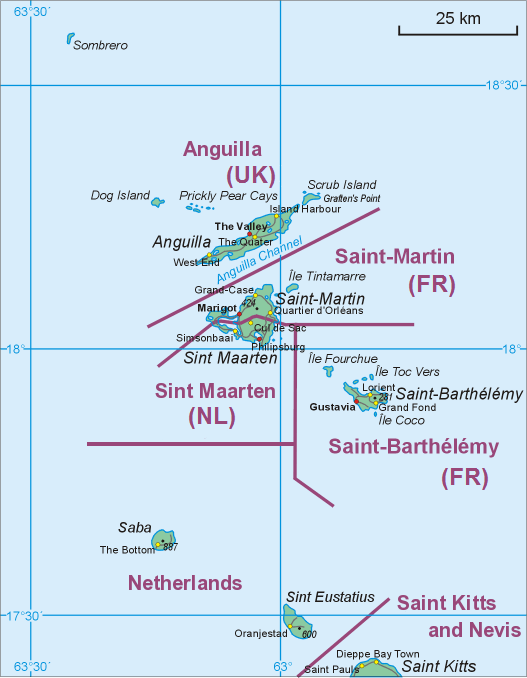 In little Saint-Barthélemy, in the Caribbean, it is the 27th most common surname with one in 189 people with the surname of Barnes. I don’t know where or when my third great-grandfather, Joel Barnes, was born. However, my second great-grandfather, Nelson Barnes, was born in 1816, in Broome, Schoharie County, New York. This is in keeping with Barnes migration patterns. In 1840, 19% of the Barnes families in the United States lived in New York. About 1845 Nelson Barnes headed west to Indiana to settle the land there. Nelson had seven children born in Indiana before his death in 1884. My great-grandfather, Joel Clinton Barnes, had 11 children, all born in Sullivan County, Indiana. I have not traced my Barnes family to any living male Barnes, yet. That said, Joel Clinton Barnes only had one son, Raye Barnes, who lived to adulthood. So, if you know a descendant of Raye, I would love to hear from you. Any of their male descendants would also carry Nelson Barnes’ Y-DNA. My records include 30 individuals with the Barnes surname and 177 direct-line descendants of Joel Barnes (the elder). Ancestry – Don Taylor’s Roberts-Brown-2018 Tree accessed 22 Dec 2018. [i] Although Family Search indicates a birthdate and birthplace for Joel Barnes (the elder), I have not confirmed that information, so I am not using it here. New York Clipper Feb 13, 1918, Page 12. Montran and Daly, who are now appearing on the United time, are featuring a number of the songs from the William Jerome catalogue. 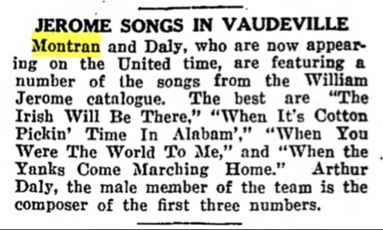 The best are “The Irish Will Be There,” “When It’s Cotton Pickin’ Time In Alabam’,” “When You Were The World To Me,” and “When the Yanks Come Marching Home.” Arthur Daly, the male member of the team is the composer of the first three numbers. The “United Time” appears to have been a vaudeville circuit that many vaudeville houses were affiliated. I can’t find out anything else about Arthur Daly and his songs don’t seem to have any information associated with them. I have not been successful in determining any specific theaters that they played at. The association of Donna and Arthur Daly appears to have been very short lived. In January 1918, she was apparently still in Boston and appeared in the January 27th article, “Play With Dolls To Banish Fatigue?” and by April 10th, she was forming an act with George Kinnier for the Moss and Loew Circuits. I added the following to Donna’s experiences. Feb 13 – Began appearing on the “United Time” with Arthur Daly in New York. Tracing female ancestors is often difficult in 19th century America. As I continue my research into the siblings of Rufus Holton Darling, one of his sisters, the oldest sister, was quite easy to follow. The other two sisters have been very problematic. I wrote about Deidamia, the oldest sister, previously. Basically, she born in New York, married Lawrence G. Limbocker, moved to Michigan, had three children, and probably died in Michigan. Hannah and Sally Ann are a different story. Hannah was born the 7th of eight children of Abner and Sally Ann (Munsell) Darling, most likely in New Hampshire, although she may have been born in New York. The only real source I have regarding Hannah is the 1850 Census. In it, she appears to be living with her brother, Andrew/Andress Darling, his wife Antoinette and their two children, Sarah and Alice. In the same household appears to be Hannah’s youngest brother, Franklin, and her mother, Sally A. (Munsell) Darling. I have been unsuccessful finding any references to Hannah after the 1850 Census. She is not mentioned in her brother’s (Abner C. Darling’s) obituary in September 1880. As such, I believe Hannah probably died between 1850 and 1880. Family Search has Hannah in their Family Tree. She is person KJ6Z-V1S. All entries for her are by “Family Search” and have no sources for information. It does suggest an 1820 birth year. On Ancestry, there are five trees that appear to include Hannah. Two of them are mine. The other three are private. I have sent contact messages to the two individuals managing the three private trees. One tree indicates Hannah Darling being born in 1820. I’ve selected the 1824-1825 birth year in my tree because of the 1850 Census and that she fits into the 1830 and 1840 censuses by speculation. I would be a lot more comfortable that Hannah was actually a child of Abner and Sally Ann (Munsell) Darling if I could find a record that clearly shows the relationship. The second private tree on Ancestry did not have Hannah identified but did have Abner and Sally Ann (Munsell) Darling but none of their children. I have not heard back about the third private tree yet. A fairly exhaustive online search, including newspapers and other resources has not provided any further information. 1850 Census (FS), 1850 Census – A M Darling – Utica, Winnebago, Wisconsin. “United States Census, 1850,” database with images, FamilySearch : 12 April 2016), Am Darling, Utica, Winnebago, Wisconsin, United States; citing family 1092, NARA microfilm publication M432 (Washington, D.C.: National Archives and Records Administration, n.d.). https://familysearch.org/ark:/61903/1:1:M4DT-3L6. 1830; Census Place: Clarkson, Monroe, New York; Series: M19; Roll: 94; Page: 271; Family History Library Film: 0017154. https://search.ancestry.com/collections/8058/records/1556647/. 1840 Census (FS), Family Search, New York, Monroe, Clarkson, Page 177 – Rufus H Darling. Like many of my ancestors, Deborah Buel Maben, was a pioneer wife. She was born, raised, and married in eastern New York (Greene County). After she married she headed west with her husband to Michigan Territory. She was there when Michigan become a state. She passed away and was buried in Benton, Washtenaw County, Michigan, in the land she and her family settled.